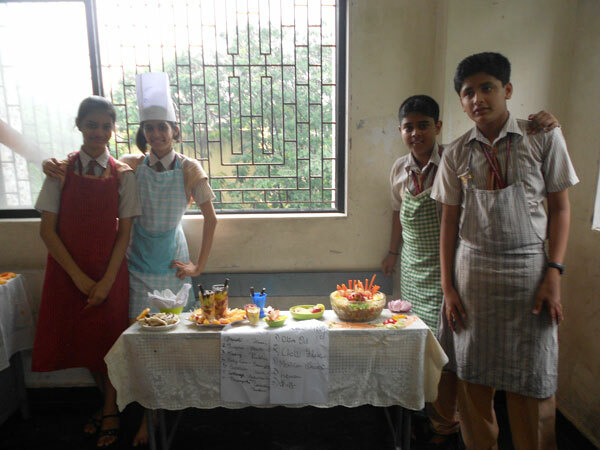 An Inter House Salad Dressing / Making competition was held for the students of Std IX and X, on 20th July, 2013. Two groups from each house participated in the competition. They made delicious salads and decorated them beautifully. 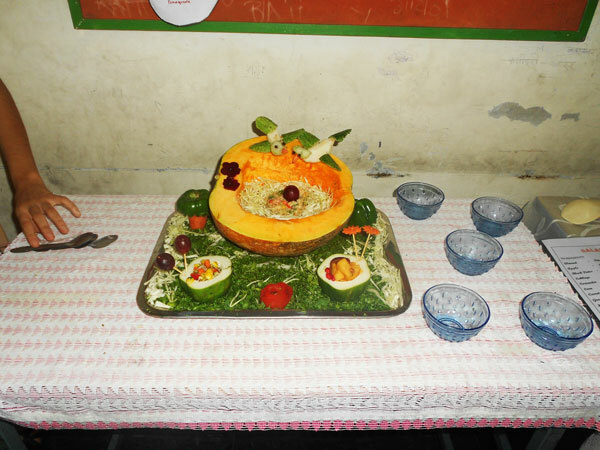 Boys and girls equally showed their skill in cutting the vegetables and fruits artistically. 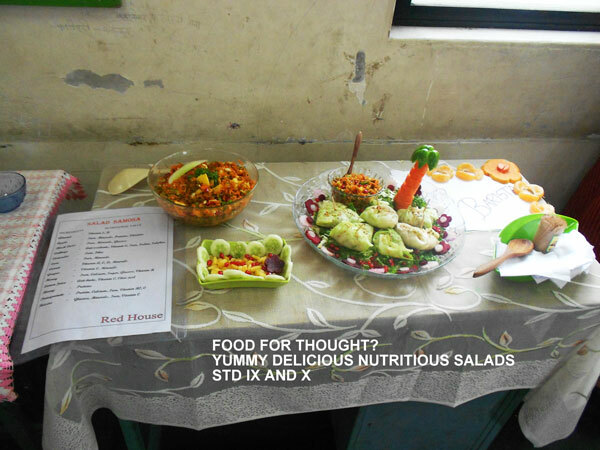 The judges Mrs. Meena Kalil and Mrs. Bindu Jagadeeshan asked each group about the Nutrition Values. 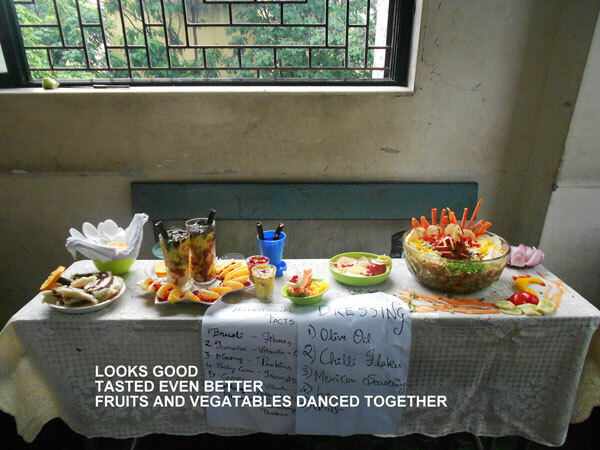 The healthy and delicious salads were served the teachers and students. The salads were so yummy that it left everyone asking for more.